Two feet of water. That’s all it takes in a month’s time to turn barely knee deep ponds into raging rivers, and the river bottoms into giant lakes covering needed Spring pastures. April was a crazy month for Arkansas weather. So far in the state we’ve had 43 confirmed tornadoes (total annual average of 26!) and many, many more reports of straight line wind damage. On our ranch we’re going to have enough firewood from blown-down trees to supply the whole county for the winter. We better have an awesome amount of May flowers with all of the showers we received in April. The following is a video showing some of our flooded pastures and little bit about how flooding affects our grazing program on the ranch. I’ve posted before about how flooding can knock out fence rows, and this is the kind of water that will do just that. The flooding on this ranch can get much worse, but it is unusual for the water to rise this fast. We received about 5 inches of rain in 36-48 hours, while some parts of the state received upwards of 12. So it will take a while for all of the water to work its way down stream. Hopefully the waters will recede soon and I can get back to rotating our cattle through green pastures. 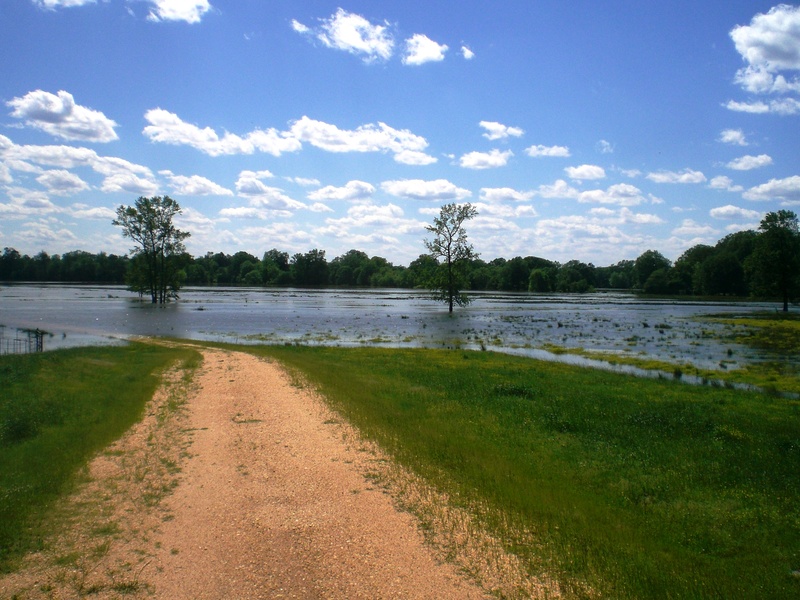 To learn more about the flooding on the Mississippi River, check out these posts from Janice Person in Memphis. How has the Spring weather been treating you? Are your fields or pastures underwater? Has your garden been set back by all of the moisture? I know some friends in Texas and Oklahoma are much drier, have ya’ll received precip lately? Next What Fuels Your Passion?